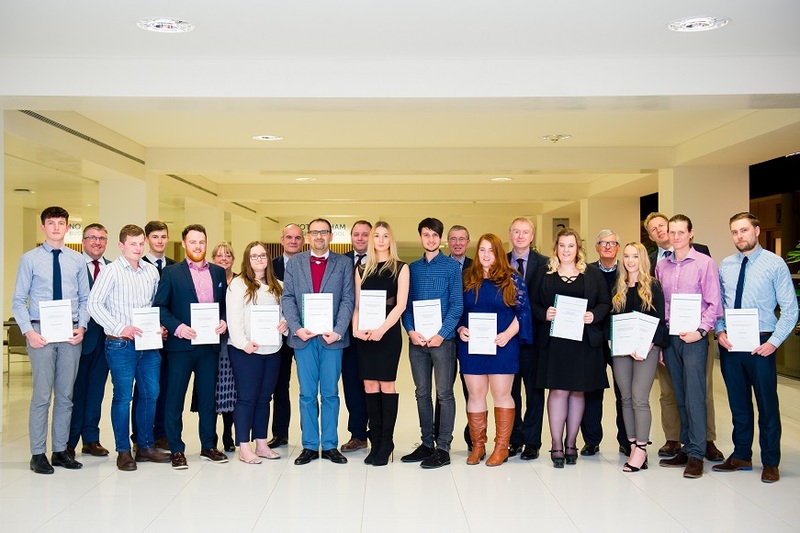 Representatives from an impressive range of companies and professional accrediting bodies visited NTU to award prizes for academic achievement, course and project work to students across BSc (Hons) Civil Engineering, BEng (Hons) Civil Engineering and MSc Structural Engineering this December. The awards ranged from recognition of outstanding performances across all years of the courses involved, to a Women in Civil Engineering award, and prizes for challenging projects in areas such as ground engineering, and construction and environmental awareness. The event was opened with a talk by guest speaker Will Hooper, a project engineer at NMCNomenca (a division of North Midland Construction) currently working on delivering flood alleviation projects for Severn Trent Water’s AMP6 framework, and guest lecturing at Nottingham Trent University for a BEng (Hons) Civil Engineering group design project. Following the prize giving, students and guests had the chance to speak to the industry representatives, discussing latest developments in the field and get valuable tips and advice for their careers. Mark Davison, Head of Civil Engineering at NTU, said: "These awards are a great endorsement of the academic achievements of our students across all years, and reflect the breadth of our contacts with industry and the professional bodies in the civil engineering field. Companies and individuals who sponsored the 2017 event awards: The Institution of Structural Engineers; The Institution of Civil Engineers; KOREC Group; Derbyshire County Council; North Midland Construction Plc; Civil Engineering Contractors Association; Inertia Consulting Ltd; Clugston Construction; VolkerFitzpatrick Ltd; Opus International Consultants (UK) Ltd; Jackson Civil Engineering Ltd, Abnormal Load Engineering Ltd and Professor John Pike. Interested in our MSc Structural Engineering course? Book onto an Open event and meet staff, and find out more about life in the School of Architecture, Design and the Built Environment.